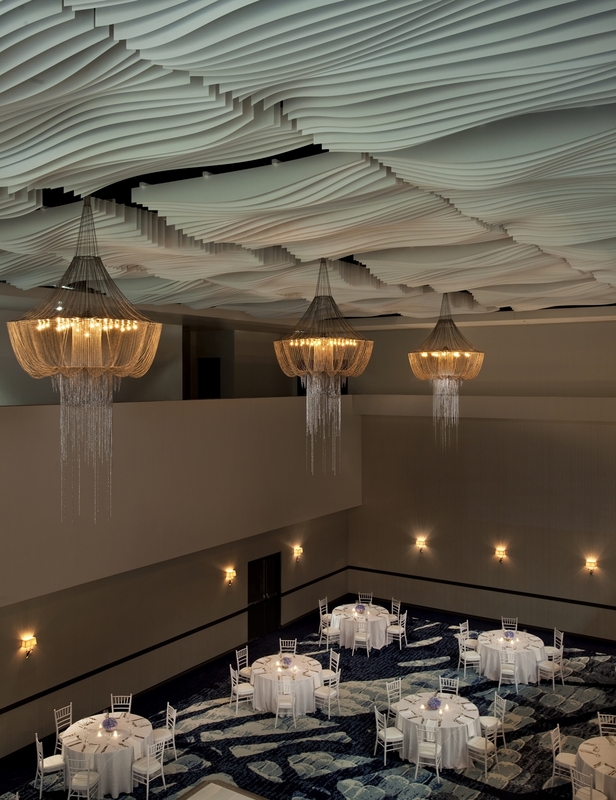 Sheraton Oklahoma City Downtown Hotel, Nimes Capital and Crescent Hotels and Resorts announced it has unveiled “One Broadway Ballroom,” the city’s newest venue for weddings, business meetings, exhibitions and social functions. 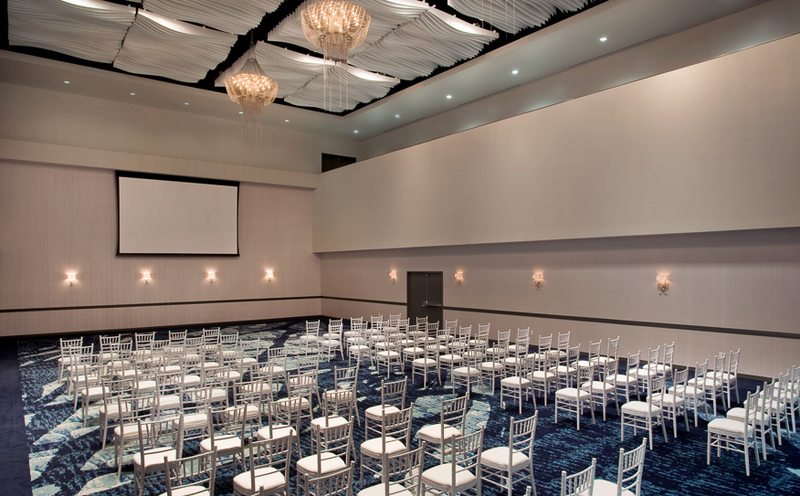 Spanning 2,600 square feet, the stylish, new ballroom accommodates up to 300 guests and boasts 29 foot ceilings, decorative chandeliers, all-new furnishings and state-of-the-art audio-visual technologies. 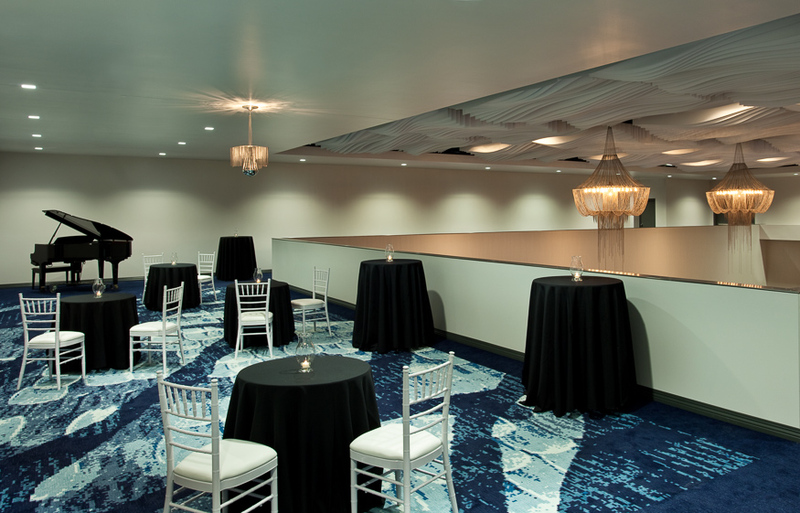 One Broadway Ballroom’s state-of-the-art technology, includes a built-in 208-foot display screen and video projector, a mezzanine level where guests can enjoy views of the event below, all new carpeting, wall vinyl, lighting, art work, paint and woodwork. 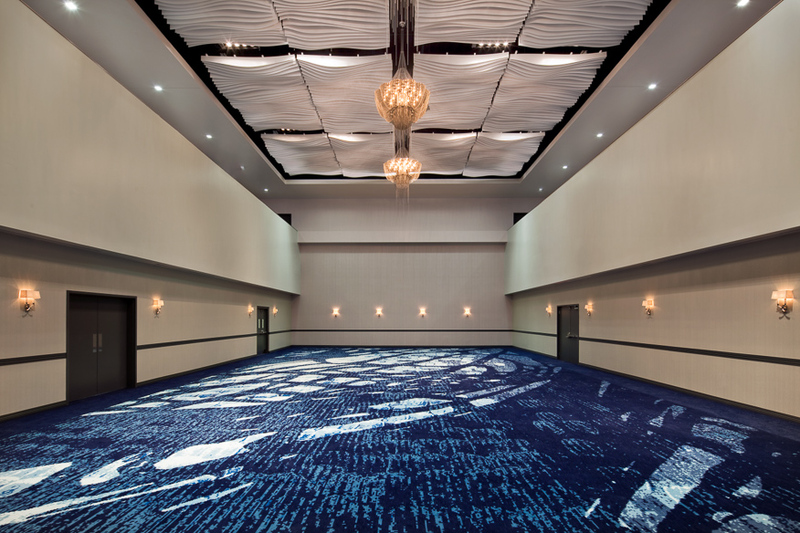 With the addition of this new ballroom, Sheraton Oklahoma City Downtown Hotel offers more than 18,000 square feet of modern meeting space in total, including three ballrooms. 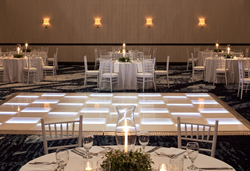 A standout destination for weddings of all sizes and types, Sheraton Oklahoma City Downtown Hotel can accommodate the entire wedding event, including the rehearsal dinner, ceremony, reception, guest stays and brunch. The wedding couple will enjoy an effortless planning experience that includes a dedicated Maitre d’ and dedicated wedding captain, food & beverage menus and complimentary cake cutting. In addition, the hotel offers the wedding couple a choice of centerpieces and linens, a champagne toast and a complimentary suite for the wedding night. The opening of One Broadway Ballroom is also supported by the culinary expertise of the hotel’s new executive Chef, Anthony Raines, who oversees all of the hotel’s food and beverage operations, including 1889 Land Run Café, Aria Lounge, in-room dining and banquets. Bringing more than 30 years of culinary experience to the role, Chef Raines studied under master chefs from around the world. Located at 1 North Broadway Avenue, Sheraton Oklahoma City Downtown is ideally situated at the heart of Oklahoma City next to the Cox Convention Center and across from Chesapeake Energy Arena. The hotel is just a short walk from Oklahoma City National Memorial and the historic Bricktown Entertainment District. Submit an RFP for your wedding or event on the hotel website or contact our sales team, via phone at 405.815.6056 or email at cparker@sheratonokc.com. For more information about Sheraton Oklahoma City Downtown Hotel, please visit SheratonOKC.com. Sheraton Hotels & Resorts, the largest and most global brand of Starwood Hotels & Resorts Worldwide, Inc., makes it easy for guests to explore, relax and enjoy the possibilities of travel through smart solutions and effortless experiences at more than 440 hotels in more than 72 countries around the world. The brand is currently in the midst of implementing Sheraton 2020, a 10 point plan designed to make Sheraton the global hotel brand of choice, everywhere. Sheraton recently launched “Where Actions Speak Louder,” a multi-channel, multi-million dollar advertising campaign that highlights the brand’s ongoing enhancements to its guest experience, including new products and partnerships, and a renewed focus on service. With work well underway, the brand has already rolled out a variety of initiatives under Sheraton 2020, including Paired, a new imaginative lobby bar menu; the richest SPG promotion in the brand’s history; and Sheraton Grand, a new premier tier that recognizes exceptional Sheraton hotels and resorts. To learn more, visit http://www.sheraton.com. Stay connected to Sheraton: @sheratonhotels on Twitter and Instagram and facebook.com/Sheraton. Nimes Capital is the private investment arm of Nazarian Enterprises which has a well-established track record of successful investing, including its role as a lead early-stage investor in Qualcomm, Inc. Led by David Nazarian, the Nimes team has invested in, operated and/or overseen a broad spectrum of investments, with a current focus on multi-family real estate and stable operating companies with strong market positions. In addition to its ownership interest in the Sheraton Downtown Oklahoma City, Nimes also holds majority ownership stakes in the adjacent Century Center and the Haven apartments, both of which have recently undergone substantial renovation. Nimes is headquartered in Los Angeles, California, with an additional real estate investment office in Austin, Texas. For more information, visit http://www.nimescapital.com.